Here is a good news for Blogger users. Google recently introduced threaded comments for Blogger users. For users who don’t know about threaded comments, threaded comments are multilevel comments in which users can reply to other’s comments. But unlike WordPress, Blogger users can currently use threaded comments upto 2 levels only. I always wished to have better comment system for Blogger. Better comment system was one of the most required features that Blogger lacks that’s why I suggest to add WordPress style comment system to blogger using other services. But now Blogger users have reason to smile as they have got one new feature for the comment system. You don’t need to do anything special to enable threaded comments on Blogger. If you have commenting enabled on your blog, then threaded commenting will be enabled by default for you provided you have your blog feed set to “Full” and have chosen the “Embedded” option as opposed to “Full page” or “Popup window”. 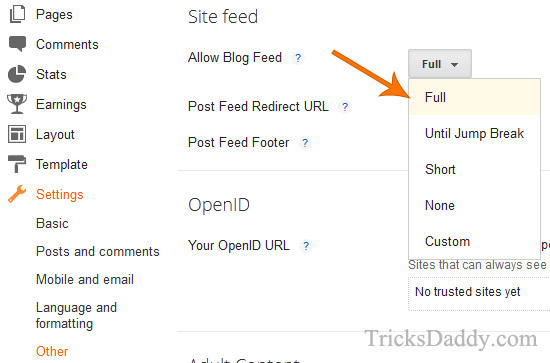 To set your blog feed to “Full”, you must go to Settings -> Other and select Full feed from Allow Blog Feed drop-down option. 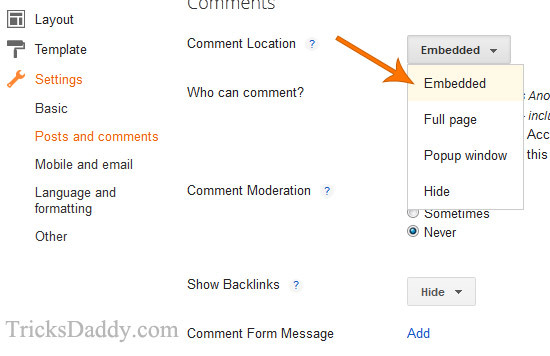 To enable embedded comments, select Settings -> Posts and Comments and select Embedded from comment location drop-down option. When you enable both these settings, threaded comments work fine on default Blogger templates however if you are using a customized blogger template, threaded comments may not be visible for you. But no need to worry, I have found a solution for it. You need to add the following code to your template if threaded comments are not visible on your blog. Note: Before following the below mentioned steps, I advice you to take a full backup of your blogger template. I will not be responsible for any errors arising in your template due to this. 3. Save your template and now threaded comments must be visible for you. I hope it helps to add threaded comments to your blog. If you face any problem, don’t hesitate to leave a comment here. My problem now is that it still doesn’t show comments beyond 200, what should i do? This is what I really want, thanks for publishing. Now we can easily add threaded comments in Blogger. Thanks for the extremely helpful post! I love it! It worked out perfectly for me. However, I have a question for you. How do I achieve the “CANCEL REPLY” like you did in your threaded comment? Thank you!